Located in Gaffney, South Carolina, Freightliner Custom Chassis is the leading manufacturer of diesel motorhome, walk-in van, commercial bus, and school bus chassis in North America. Freightliner custom-makes every chassis with high-precision machining and accurate assembly. The requirements made by Freightliner’s customers are very critical to their success. Complex measurements such as frame flatness, tooling hole dimensions, wheel base centering, and tire run are all a part of Freightliner’s daily inspection routine. The tools used to perform these inspections included calipers, tape measures, and plumb bobs. 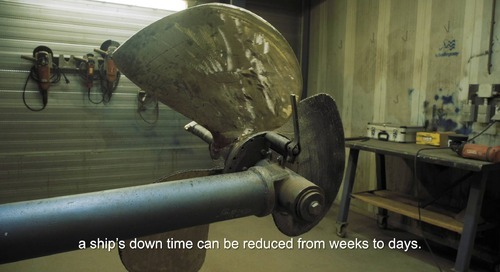 Freightliner had been using these tools for years, but their Quality Action Team was looking for a way to improve their measurement processes in order to save time as well as reduce the cost of rework. One process that required special attention was at the assembly stations where each set of chassis rails is assembled. They discovered that one of the rails would contain a slight bow as a result of the manufacturing process. The Quality Team would then have to send the chassis back into the shop in order to make the necessary adjustments, which lost Freightliner a lot of time and money. 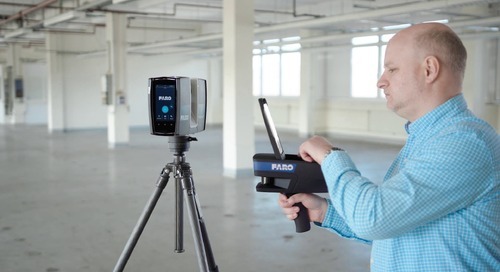 Trae Humphries, a member of the Quality Action Team, saw an on-site demonstration of the FARO Laser Tracker and quickly realized the benefits they would receive by implementing this system. 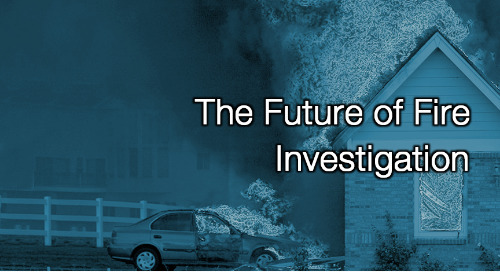 The daily inspections performed using the traditional tools would typically take half a day to complete. With the Laser Tracker, the measurements could be taken in approximately 15 minutes. “In the past, there was no way we could have done more than one measurement in a day, and now we are able to perform multiple measurements in multiple environments across the production floor,” Humphries said. By using the FARO Tracker they were also able to discover what was causing the bow in the chassis rails. In less than 10 minutes, the Quality Team determined that the pins in the assembly fixture were causing the slight twist. The Tracker calculated that the pins were off by 5 millimeters, and was then used to properly re-align the pins. 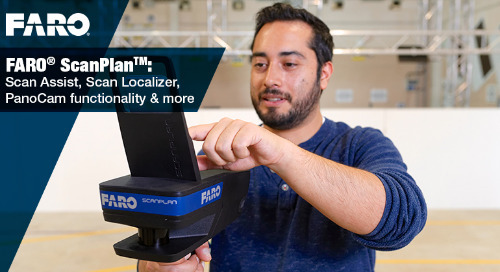 The FARO Tracker’s accuracy ensured that every adjustment was done exactly to specification. As a result of implementing the FARO Laser Tracker into their operations, Freightliner saved not only hours in inspection time, but also approximately $280,000 per year in rework costs. 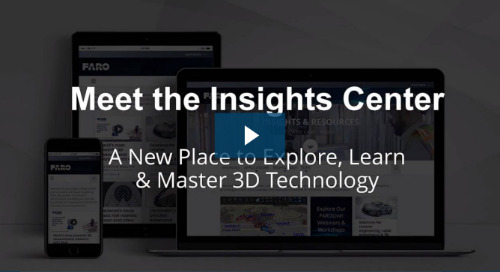 Stay Up-to-Date on the Latest 3D Technology Insights! FARO is proud to be an exhibitor demonstrating the most advanced technology to address today’s imminent issues and needs for the oil and gas industry at OTC 2019. 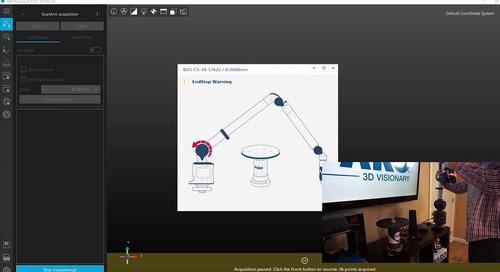 Learn how to scan, capture and mesh an object in just five minutes using a FARO ScanArm and RevEng Software. See how the truth behind a complex police case, shrouded in mystery unraveled - casting light on the real cause of a road traffic accident and giving victims and their families closure. 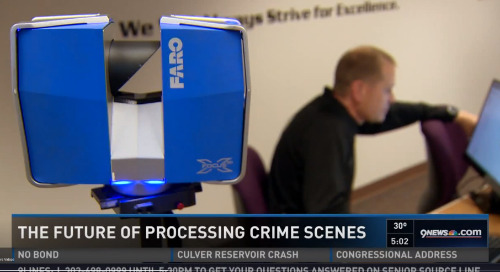 Check out the recent report from 9NEWS on how a FARO 3D Laser Scanner was used to investigate a fire that killed three people, including a 4-year-old, and lead to the indictment of two caretaker. Watch this webinar to hear construction and engineering experts talk major developments, the impact on client workflows, project ROIs and a discussion of best practices using SCENE software. 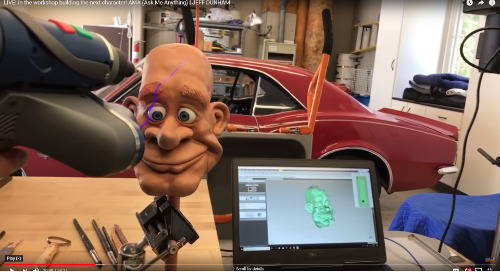 Watch as Jeff Dunham, a well-known and hilarious ventriloquist, shows in real-time how he 3D scans his clay models, creates digital files and then 3D prints his dummies (aka puppets)! 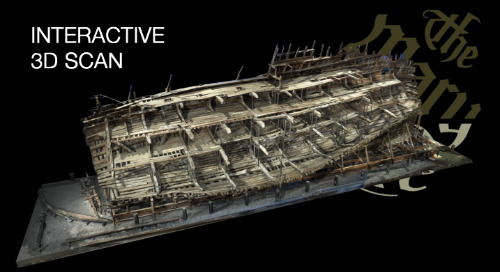 Explore this interactive scan of the 500-year-old ship, The Mary Rose, captured with the Focus Laser Scanner and SCENE software as a part of a historical preservation effort. 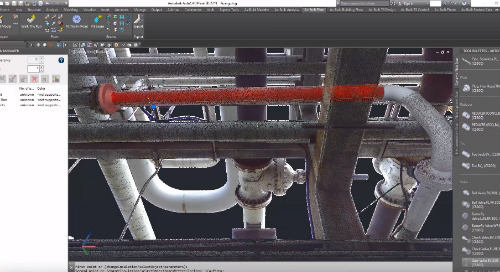 Read how FARO 3D visualization, rendering, scanning and measurement tools can significantly reduce pre-production, production or post-production costs and schedules. See how switching from a total station to a Focus Laser Scanner allowed the Clackamas County Sheriff’s Office to achieve tangible ROI and results. 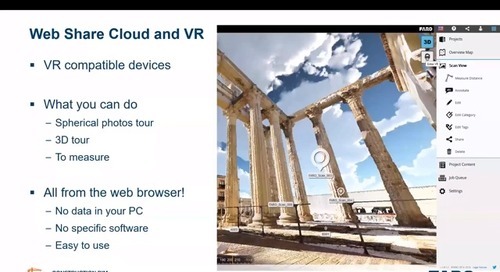 Learn how to find the information you need to explore, learn and master 3D technology in your industry. Browse, read, watch, try and share all our content with ease. 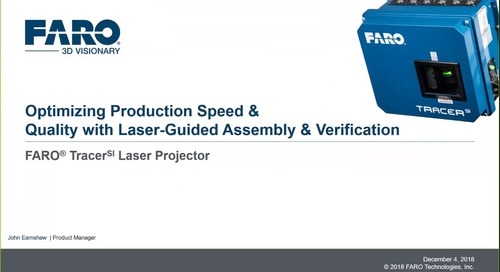 Watch this webinar recording to learn about laser projection, its benefits and applications. 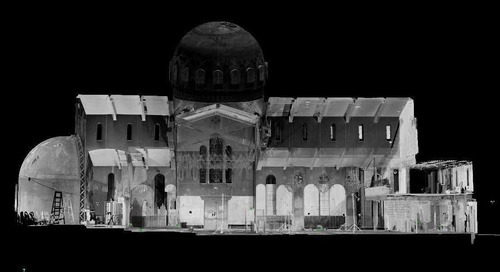 See how the Tracer SI Laser Projector simplifies the setup through targetless, Feature-Based Alignment. 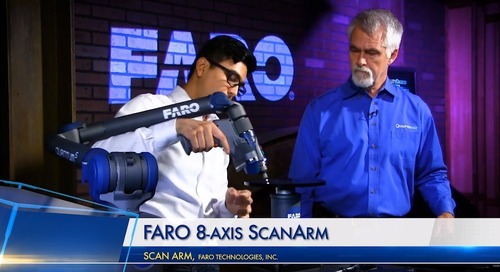 Watch this video segment from Quality Digest TV: The Virtual Test & Measurement Expo 2018, and see a demonstration of the FARO 8-Axis Quantum S ScanArm.